Pedion: PEDION Battlefields just got better: another Stretch Goal achieved! 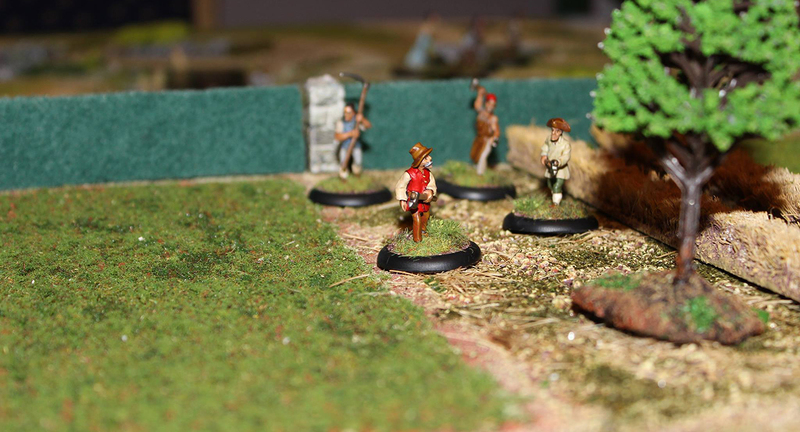 PEDION Battlefields just got better: another Stretch Goal achieved! Bring out your farmers! 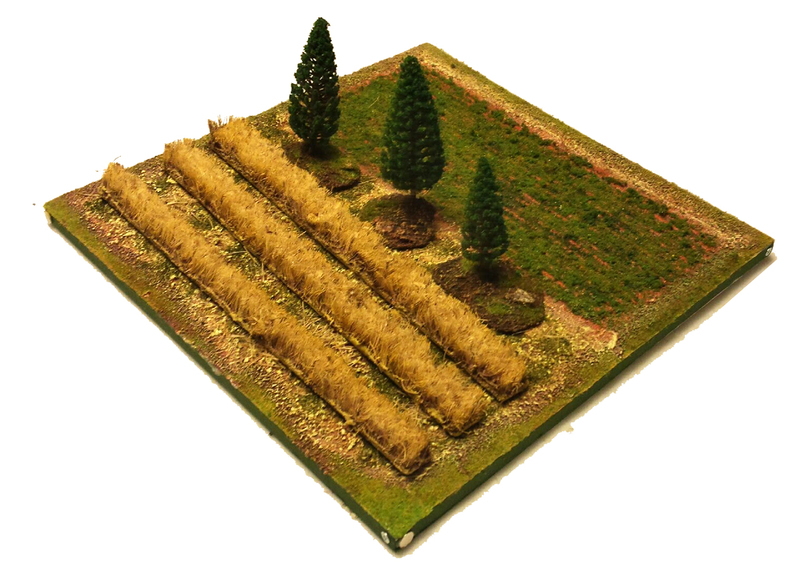 Another Stretch Goal reached: Crops Tile is available! 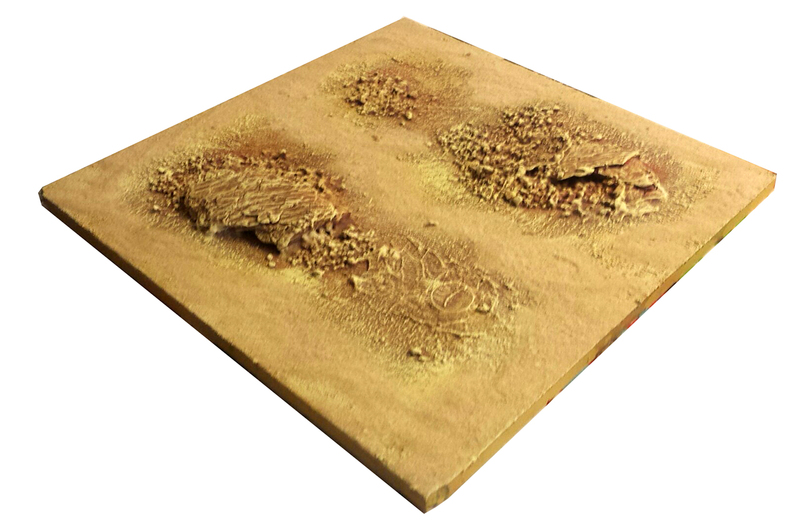 And this comes in addition to the 1st Stretch Goal, unlocking the Desert and Winter themes for the Battlefield Sets! Yesterday our pledge total reached and surpassed £20000, making feasible the design and production of a Crops Pedion Tile. Crops, orchards and other types of fields are quite common in rural areas, especially in temperate climates. 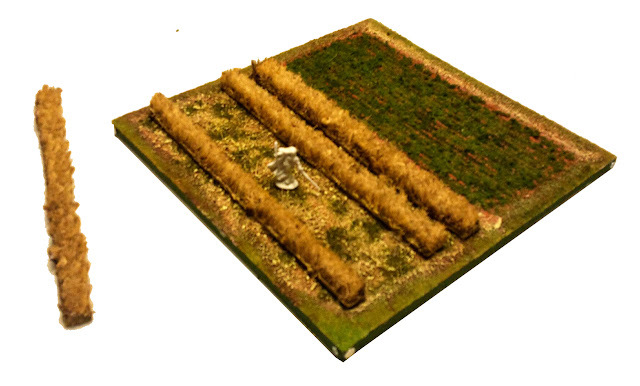 They tend to cover most of the gently sloped areas which are suitable for farming; the exact same areas that commanders historically have repeatedly chosen to give their battles. 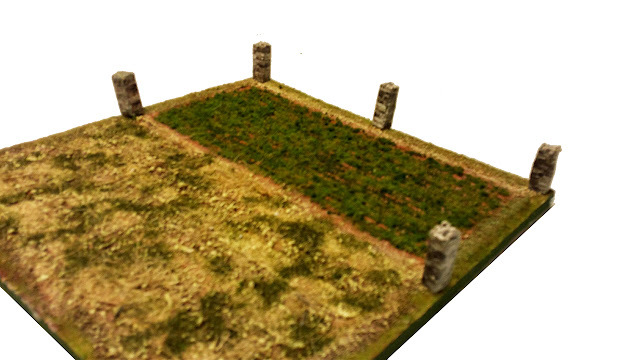 So, I thought it would make a valid addition to Pedion, to be able to expand and enhance your battlefields with the representation of farmed lands. The tile is designed having the base scale range of Pedion (15-28mm) in mind. 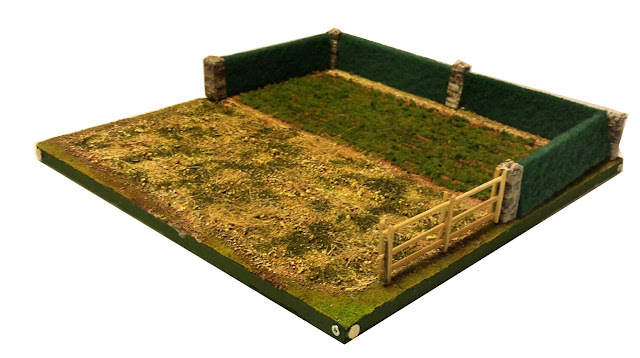 It consists of two distinctive areas that the players may declare as they please: a sown area, planted with low vegetation, and a dirt field. The tile includes magnetic hard-points all around its edges and across its centerline; their purpose is to attach columns of the Pedion Wall System, the next Stretch Goal of the Kickstarter Campaign. For some time now, I was trying to find a way for Pedion owners to easily expand their Sets. You see, Pedion is not only modular, but its main design advantage is its ability to constantly expand. So, a week ago I have had that light-bulb moment about a subscription based service; the response in the project's comments section was overwhelmingly positive. So now we have our own "Loot Crate", and it's called PedionAMMO (yes, like ammunition). 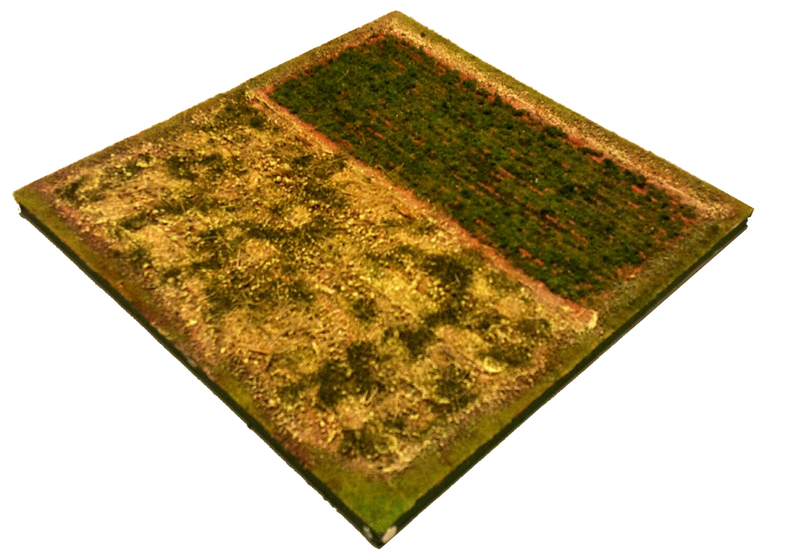 Tiles (plain, broken ground, forest floors, roads, and if possible even rivers). The tiles may be of types unlocked during this campaign, or new themes that I design for Pedion in a later date. I was thinking of running an annual poll for each year's theme (eg Green, desert, scifi etc). The above costs include shipping; and it goes without saying, the retail values of the included items will cover/exceed this rate. The Subscription service will commence after the Project's fulfillment, namely December 2015. Before the 2nd, there was the 1st: Desert and Winter ground variations were Unlocked! Five days ago our Pledge Total surpassed the £18000 limit, thus unlocking for all current and future backers out first Campaign Stretch Goal: the availability of Desert and Winter (Snow) ground types for your modular battlefields. What will this mean? 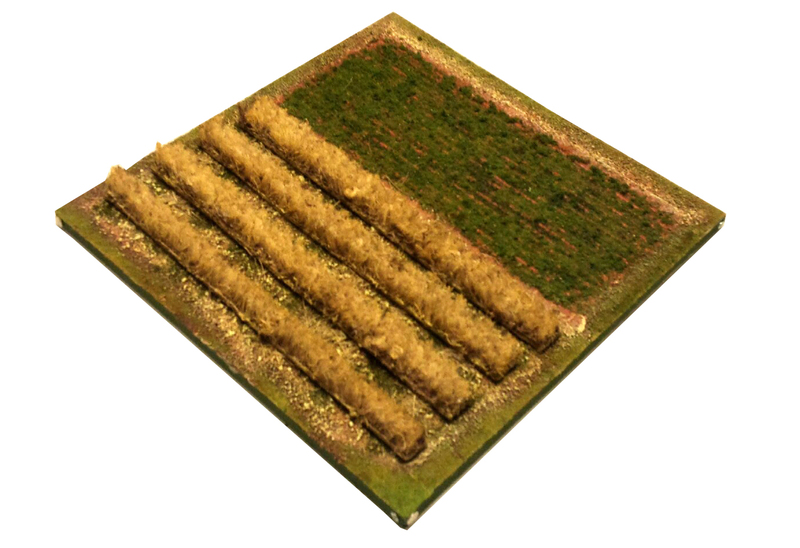 As a free Upgrade, all physical rewards with terrain tiles can now be of three variants: the original "Green Spring" theme, the Desert theme and the Winter theme. When "locking" their rewards after the campaign, backers can choose the Ground Type of any or all Tiles in their Sets/add-ons to become Snow/Winter or Desert. Forest tiles in Desert boards will include palm trees instead of temperate forest trees. But you can upgrade your palm-tree "forest" to become an Oasis with a small pond in the middle. 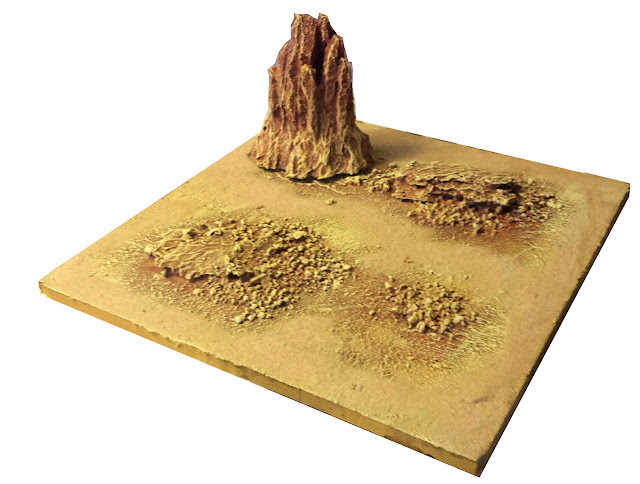 Or you can completely forgo the vegetation option, and turn your "forest" tile into a "Badlands" tile, with magnetic rock formations (mesas) to clip on the tile. 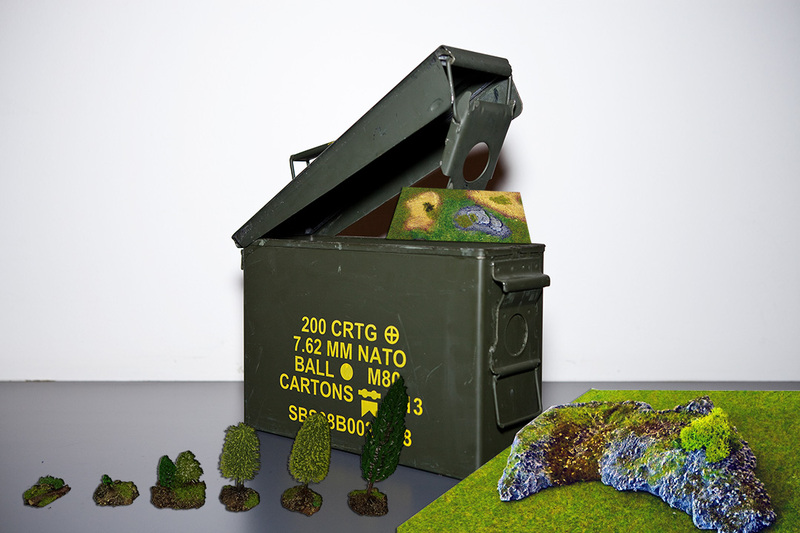 The same option of snow-covered badlands can be used by backers of Winter terrain as well; you can upgrade your "forest" and substitute your trees for magnetic snow-covered rocks. The rock formations will be available as a stand-alone add-on as well. 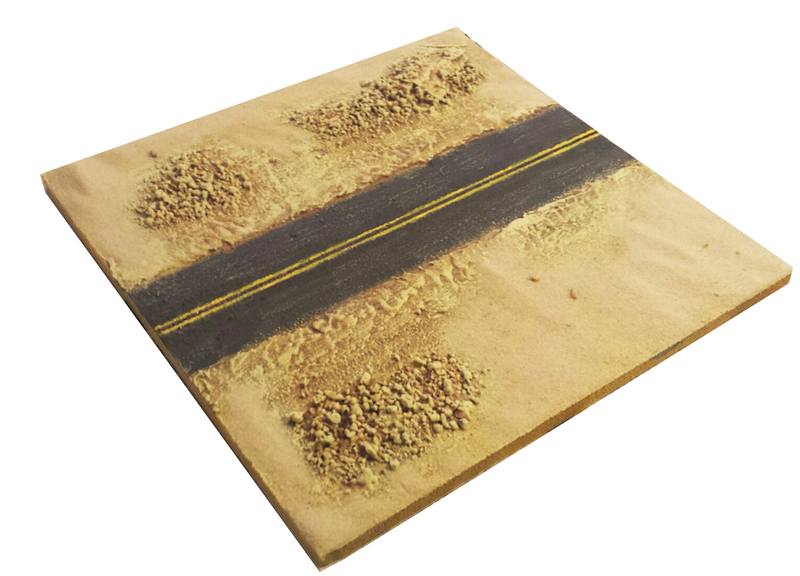 The river tiles in Desert board will also have the painted option of "Dried creek". In Snow variations you can upgrade painted or liquid glass rivers to have small pieces of drifting ice in the "liquid glass" water (just for aesthetics or to actually help fording). I am in the process of creating sample prototypes of tiles in the two new themes. While not all are finished yet, here is a glimpse of some tile types in the Desert theme. Please keep in mind that these are a Work in Progress, and although 95% ready, they still lack some details (like flocking and some extra sand effects). But all these was only the beginning, believe it or not! Now two more Stretch Goals -one Social and one depending on Pledge Level- are within breathing distance. Actually, the "social" one may well be realized the moment your reading these lines, we are that close: when we reach the number of 130 backers, each one of our physical reward levels will get an extra, free Tree. 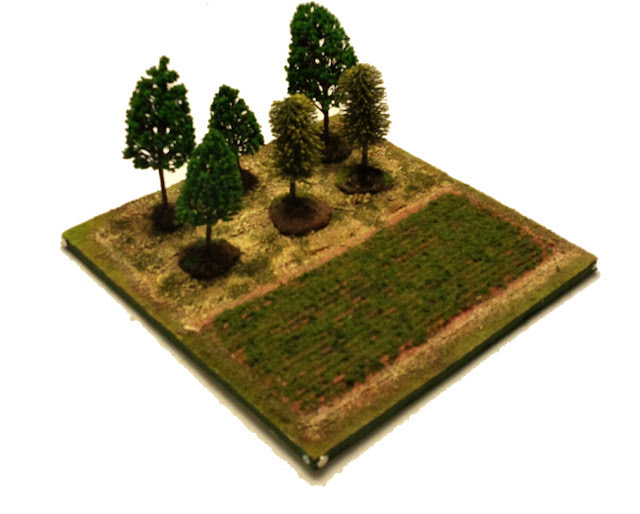 Plus, in case your Set or/and add-ons include Forests, each Forest tiles get one free tree as well. Only 2 more backers are needed! 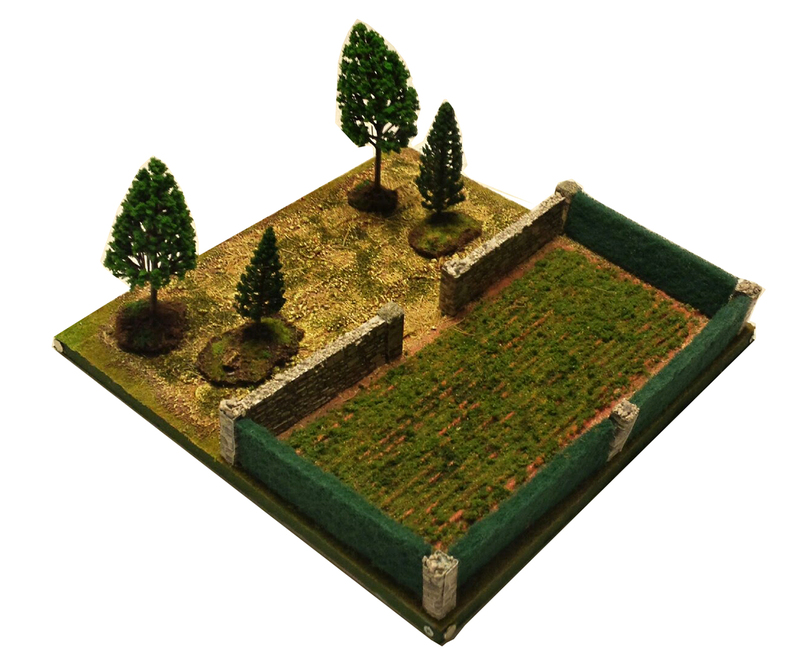 The next pledge level Stretch Goal is also close, at £23000, and it will unlock a NEW kind of terrain add-on: the Pedion Wall System. You have seen examples in photos and videos, and the Stretch Goal will allow the creation of mold for realizing these designs. And we are less than £2500 away! Thank you for reading this far, and I hope you will get on the Pedion train, or even bring some hobbyists with you!